The next recipe in my cookbook challenge is for fruit sauces. But it says to add a ‘flavour’ to the fruit; as in peach and almond, or apricot and orange flower. 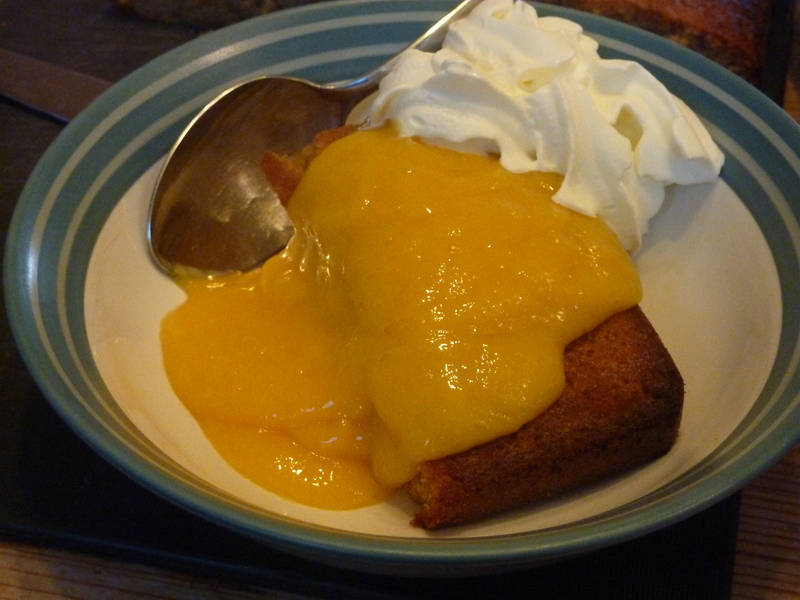 I opted for mango and lime; one mango, two tablespoons if icing sugar and the juice of half a lime in the blender. I made a cake to go with it and added a squirt of pretend squirty cream.